Home / Coffee / Drink / Frappula / Halloween / Starbucks / Starbucks Does It Again / Frappula - Wakkula!! We were halloween ready and way too excited about Starbucks and what was supposed to be a 4 day limited edition drink time. It was called the Frappula, and was only available at Starbucks Oct 28th-Oct 31st. I told Miguel to wait till the next day that the drink came out so the baristas had time to familiarize with the drink itself. 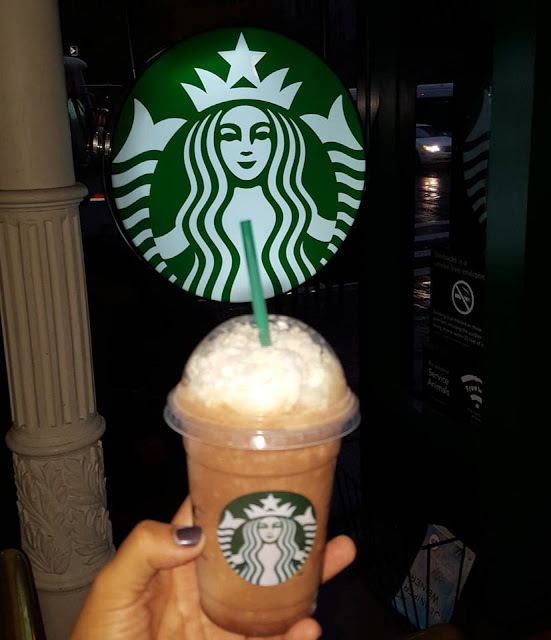 But sadly enough, we went and the barista had no idea what we were talking about, she kept saying what was a Frappula and what ingredients did it have? The cashier told her and she made it, she handed us the above drink. To say that we were disappointed is an understatement. Where was the red drizzling blood? Where was the white mocha? 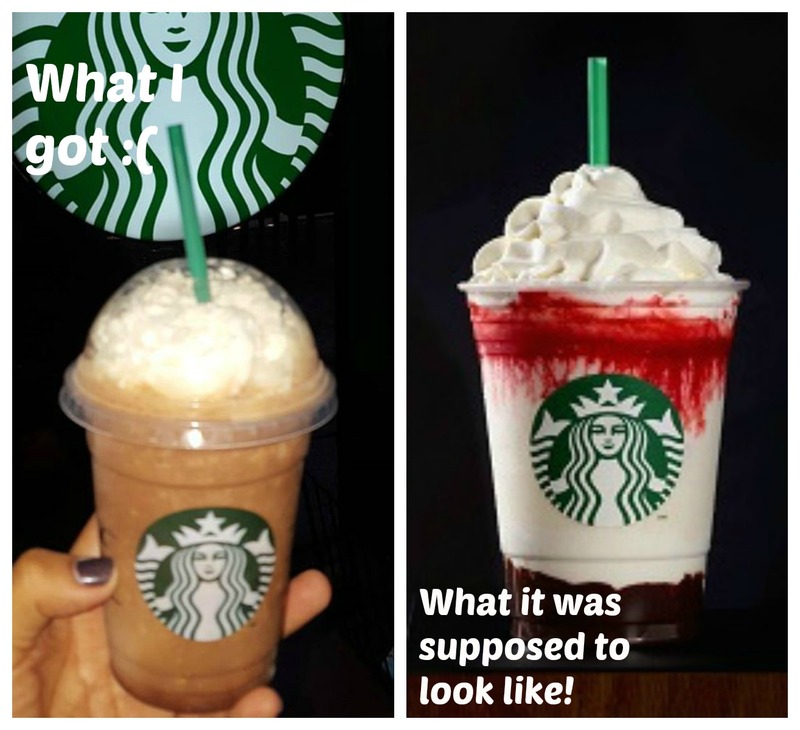 Starbucks did it again and not in a good way!